Food Park : communEATy food park at Quezon City. Check out the Isaw! Check out this new food park we found along Don Roces Ave near Tomas Morato intersection. I've already tried the Salted Egg Chicken Wings and different inihaw (grilled) food. I'll be coming back for the Tempura, Bibimbap and Lechon skin *drools*. The inihaws ranges between P30 - P100 a piece, but they also have 3 for P100 promo. The salted egg fried chicken wings I ordered costs around 170 pesos for 6 pcs meal. The lemonade drinks cost around P50 pesos which are really big so I think its worth it. They have some few parking slot in front of the food park + street parking. 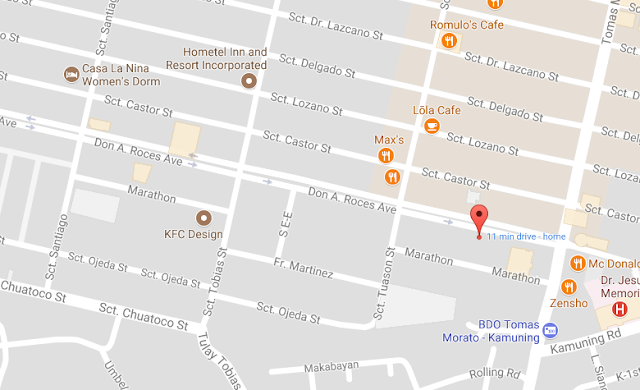 The place can be found along Don Roces Ave, near the intersection with Tomas Morato. Here is a google map link click me if you want a directions.